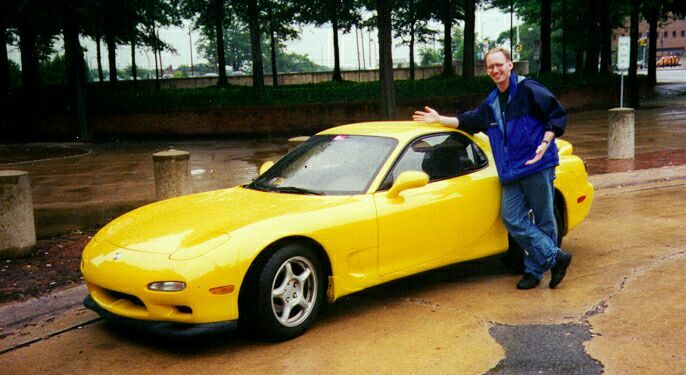 Dave Henning with his 1993 Competition Yellow Mica RX-7 R1. The 1993 CYM RX-7 is probably the rarest of the 3rd generation RX-7's. Only about 400 were sold in the US. The CYM was only sold as an R1 model. However, CYM cars were sold as non-R1 models in Canada. Nice examples are hard to come by as it is typical of the kind of person who wanted an R1 model that it will have been driven hard. C'est la vie. Dave has kept his car essentially bone stock! How rare is that? But he does regularly campaign his car in regional SCCA autocross competition.